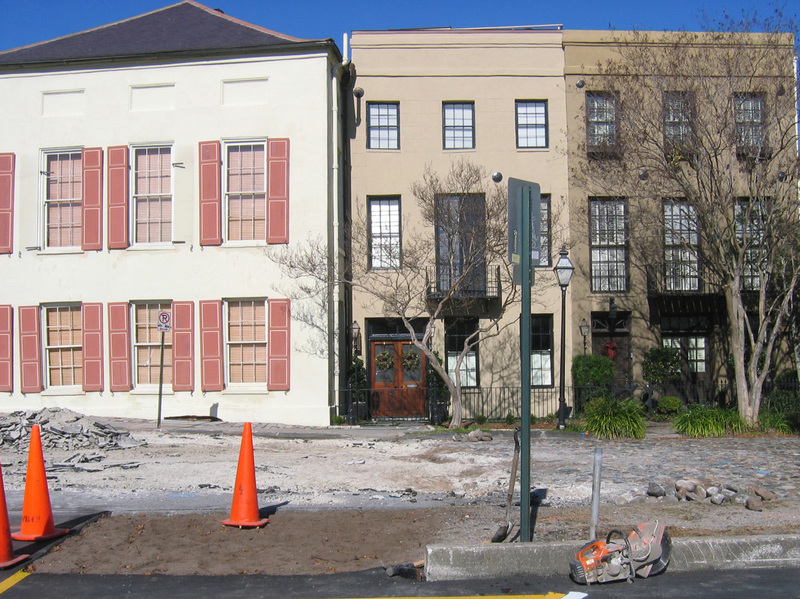 The long-anticipated archaeological dig at South Adger’s Wharf in downtown Charleston will commence early Thursday, the 3rd of January, 2008. 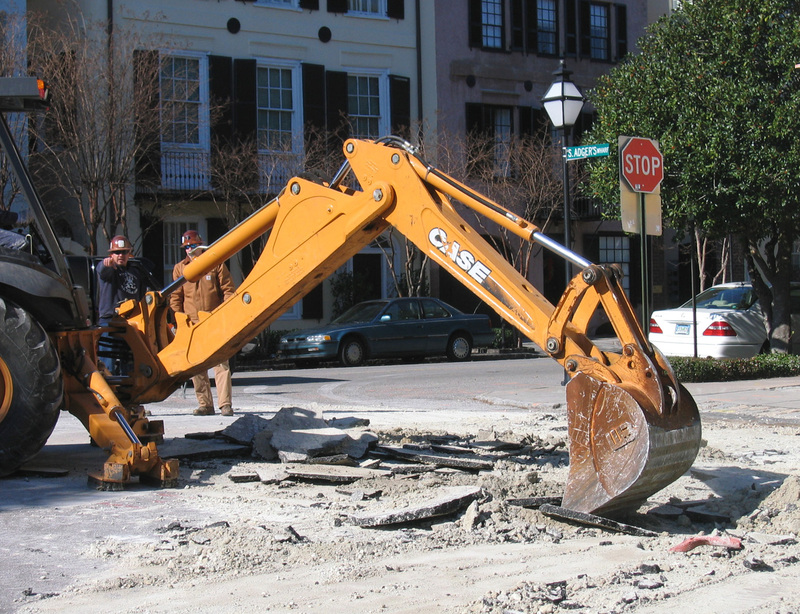 Temperatures will be uncomfortably low for many Charlestonians, perhaps hovering around the freezing point, but the work must go forward in order to keep pace with the city’s schedule for completing the utility work at this site. 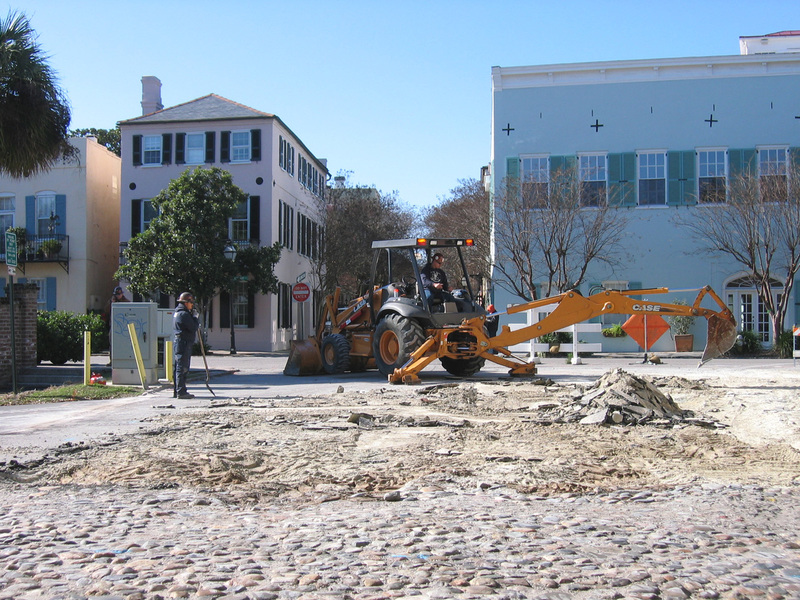 For those of you who didn’t happen to witness the activity at the dig site today, a work crew used a backhoe to remove the temporary blacktop from the west end of South Adger’s Wharf. 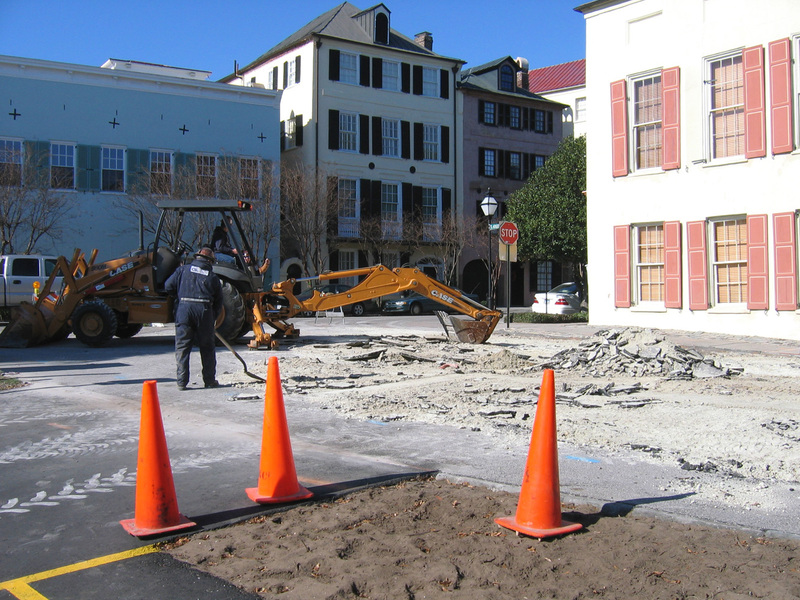 The exposed site, measuring approximately fifty feet square, is now plain dirt, but by the end of January it will be restored to its former state as a cobblestone lane. Over the next two weeks, archaeologists will explore the site with the hopes of finding evidence of various features from Charleston’s colonial past. The dig will commence on Thursday morning with a trench running north-south through the site, hopefully encountering the foundations of the three-hundred year old brick redan that once dominated the site. Volunteers will be needed to screen dirt for artifacts, and to help interpret the site for the public. If you’re interested in helping, or interested in supporting the Mayor’s Walled City Task force in some other form, please call Katherine Saunders at (843) 723-3646, or email her at ksaunders[at]historiccharleston.org.